Cookies get all the attention at Christmas. I mean, have you ever seen a plate of cookies for Santa with bars? 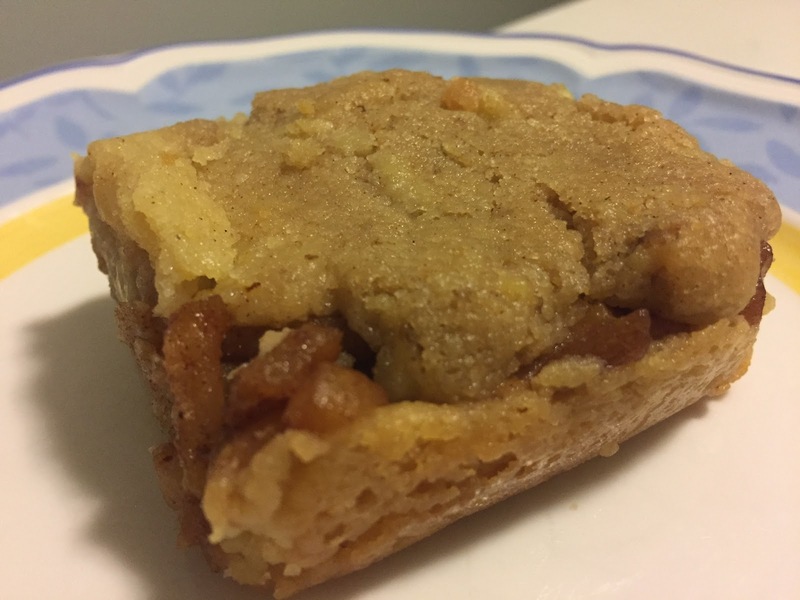 A cooking magazine once described bars as the red-headed stepchild of the cookie family. My annual cookie exchange is about two weeks away. Yes, I have rules for the party (it's the attorney, German, and type-A in me). The rules do permit bar cookies, and in fact, I encourage them!Bars are easier to make than cookies, and they travel well. 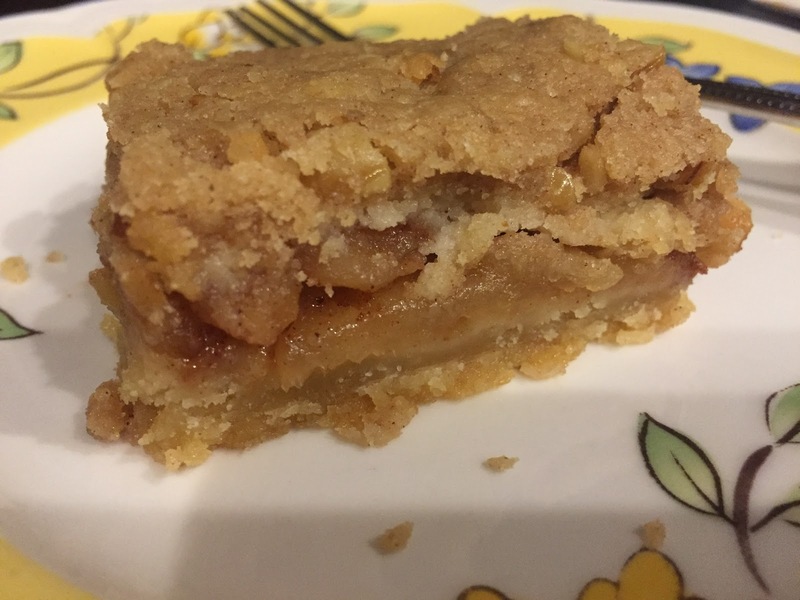 These apple pie bars are much easier than making apple pie. Think buttery shortbread topped with the classic cinnamon apple filling with a walnut crumble on top. Yes, please. Right?? Instead of making pie for a holiday gathering, try these apple pie bars...and make sure to add a scoop of vanilla ice cream or gelato, because that just goes hand-in-hand with apple pie! Add the butter, granulated sugar, brown sugar, and vanilla extract in the bowl of an stand mixer with the paddle attachment and beat on medium speed for 2 minutes until light and creamy. Add the flour and salt to the butter mixture, and beat until combine. Place two-thirds of the dough in a 9 × 13-inch baking pan. Press it lightly with floured hands on the bottom and ½ inch up the sides. Refrigerate for 20 minutes. Bake for 18 to 20 minutes, golden brown, and set aside to cool. Put the bowl with the remaining dough back on the mixer, add the walnuts and cinnamon, and mix on low speed to combine. Set aside. Reduce the oven to 350 degrees F.
Place the apples in a large bowl and toss with lemon juice. Add the granulated sugar, cinnamon, and nutmeg and mix well. Melt the butter in a large pot, add the apples, and simmer over medium to medium-low heat, stirring often, until the apples are tender, and the liquid has mostly evaporated (about 15 minutes). Place the apples evenly over the crust, leaving a ½-inch border. Pinch medium pieces of the remaining dough with your fingers and drop them evenly on top of the apples (they will not be covered). Bake for 25 to 30 minutes, browned. Cool completely and cut into bars.